Donations can be dropped off at Pet Connection’s location at 12935 Williston Road, East Aurora. Pet Connection Programs Inc., a nonprofit maternity and special care shelter for dogs and cats, is in need of donations for a basket auction to be held on Saturday, April 6. The event will be held in the Variety Club Banquet Hall, 6114 Broadway, Lancaster. The shelter is currently accepting donated items such as gift certificates, gift baskets or any new items that can be put into baskets. Donations can be dropped off at Pet Connection’s location at 12935 Williston Road, East Aurora. 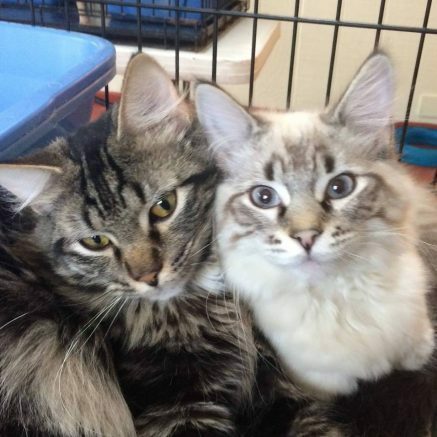 Drop-offs at the shelter can be placed inside the enclosed porch, or Pet Connection volunteers will gladly pick up donations if you call 998-8586 to make arrangements. Items can also be ordered on amazon.com and delivered directly to the shelter. For more information on Pet Connection Programs Inc., please visit www.petconnectionprogramsinc.com. Be the first to comment on "Pet Connection seeks donations for upcoming basket auction"